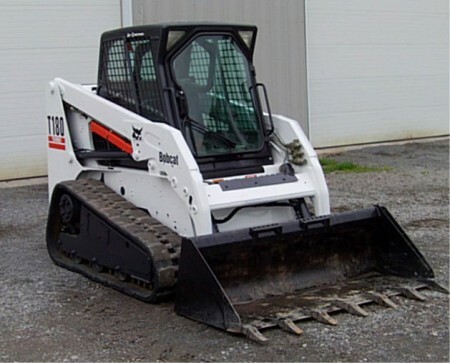 Experience the power and smooth ride of the T180 compact tracked loader. 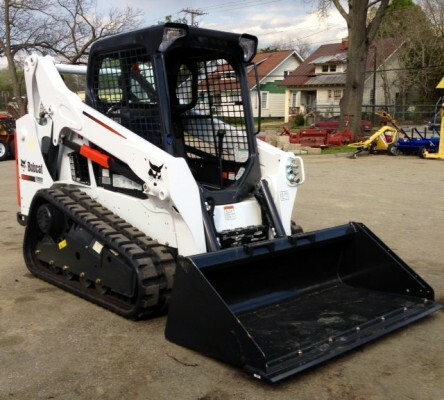 It’s defi nitely the right loader for tough applications. Climb aboard the T180 and you’ll be on the right track! The 45.5 kW, 4-cylinder Kubota diesel engine produces plenty of power that translates into impressive tractive effort and pushing ability. 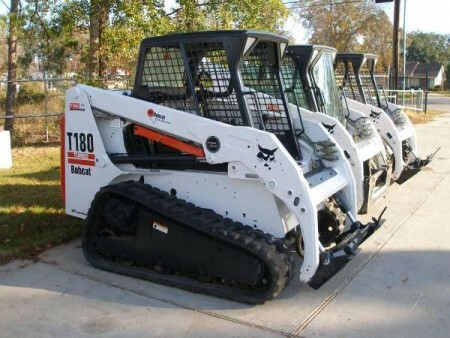 A 62 l/min pump and 227 bar generate excellent hydraulic breakout as well as power for running attachments, including augers, landscape rakes, tillers, breakers and others. All that muscle in such a compact machine — only 1938 mm high, 1676 mm wide and 3309 mm long! 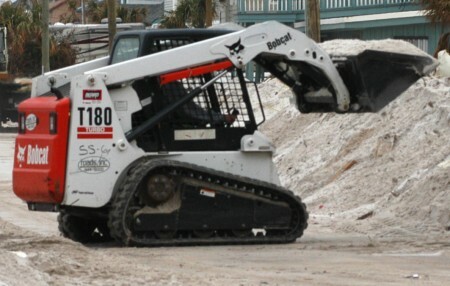 Other performance features include the T180’s transversely mounted engine for single-side servicing, dual path cooling, sealed and lubricated roller bearings, unsurpassed operator comfort and security- and cushioned tilt cylinders.